Photographing Fall Color took an interesting turn when snow fell in the mountains above Bishop, California a couple of weeks ago. 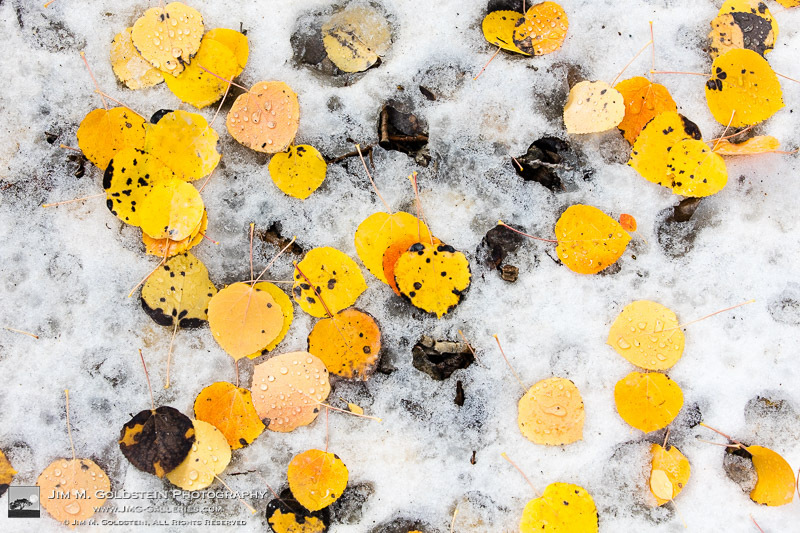 While the colorful leaves in the trees above me were an obvious choice to photograph I first chose to capture the contrast between colorful leafs past their prime against the snow. To me this photo exudes silence & calm, the quiet after a battle against the elements. Good work and nice photography.